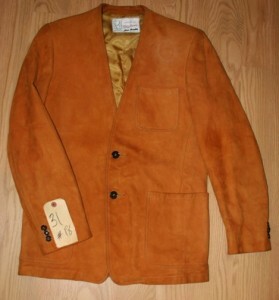 Elvis Presley personal suede collarless jacket with Sy Devore Label. 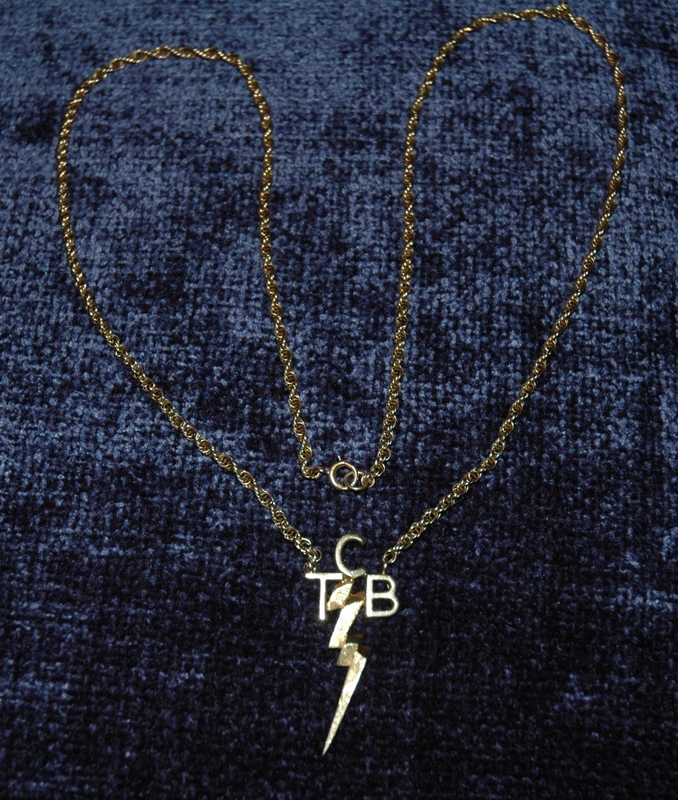 Hand crafted for Elvis Presley. Identical jacket to the one Elvis wore in the dance sequence with Ann Margaret “C’mon Everybody” in “Viva Las Vegas”. The original owner was employed by a company in New York that was responsible for the cutting of the fabric swatches for the August 1971 release of “Elvis: The Other Sides-Worldwide Gold Award Hits, Volume 2” a 4-LP set from RCA Victor. 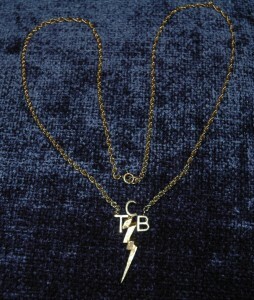 The tag on the shirt was used for tracking and has a black RCA block logo on the other side. Known as the “tailor to the stars” until his death in 1966, Sy Devore was almost as famous in Hollywood as the men he dressed. But he made his biggest fashion impact with the martini-gulping, wisecracking, Hollywood-Palm Springs-Las Vegas-hopping Rat Pack. They came to Devore’s on Vine Street near Sunset Boulevard, just around the corner from the Brown Derby restaurant, to shop as well as hang out. Eventually his star clientele included Bing Crosby, Spencer Tracy, John Wayne, Desi Arnaz, Danny Thomas, Rock Hudson, Richard Burton, Nat King Cole, David Janssen, Sidney Poitier, Eddie Fisher and Robert Conrad. 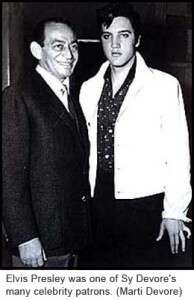 Even Presidents John F. Kennedy and Lyndon Baines Johnson bought his clothes. 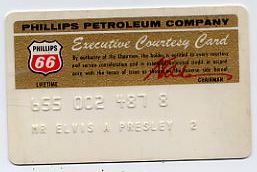 Personal Phillips 66 Gas Card belonging to the King, Elvis Presley!